Hello and welcome to Bark Busters Home Dog Training Bristol. I am Gina Hinsley, your local behaviour therapist and trainer. 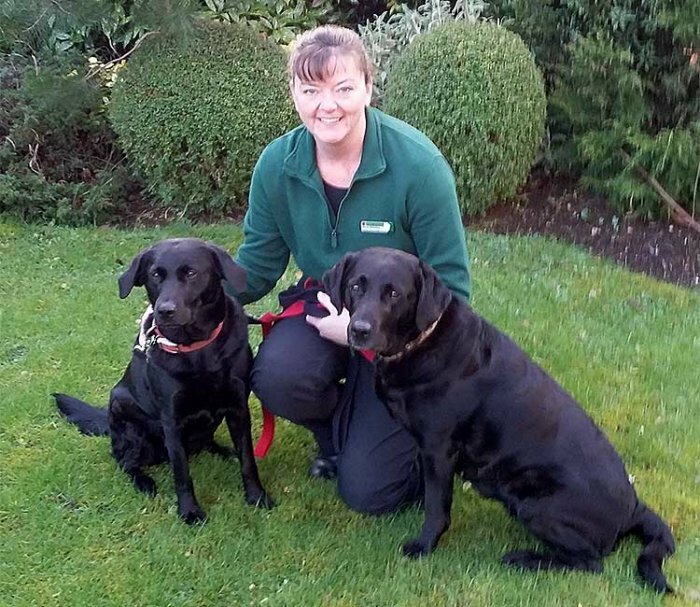 I am passionate about dogs and was delighted when the opportunity arose for me to fulfil my dream of working with them and their owners as a Bark Buster trainer and therapist covering Bristol and surrounding areas. My background in the corporate field means that I am equipped to deal with many different situations and problems, and my ability to support and train others means that I will bring to you the confidence to train your dog or puppy and to eliminate any unwanted behaviour that is ruining your relationship with your best friend. Whatever problems you are experiencing I am confident I can help you. I have owned several dogs, all of which challenged me in different ways, but whom I loved unconditionally. Like you, I always wanted them to have the best life possible, but sometimes I wasn't sure how to achieve this. There is so much differing advice available to owners, that it was difficult to know where to start and where to turn. I muddled along for all of those years in my own way until I was introduced to the Bark Busters communication method. Our methods are simple, kind and effective, and will help you to communicate in a way that he/she understands. Communication and consistency are key to any successful programme. You will find that you will very quickly feel confident in using our system and, because of that, you will be confident in using it consistently. This is how we work to create happy pets and happy owners. The training programme takes place in your home and is arranged at a time to suit you. Together we will discuss the issues and uncover the underlying reasons for the behaviour that is causing any stress. Then, together we will put in place a bespoke programme to address the specific problems you are experiencing. Before I leave you after our first lesson, you will have been coached in the methods and communication we use, and had lots of chance to practise. Often, you will have already seen a change in the behaviour by the end of that first lesson, and you will be equipped to build on that success. Whether your problem is something as simple as pulling on the lead, or as challenging as aggression to animals or humans, our fast and effective communication method will help you to eliminate the unwanted behaviour. 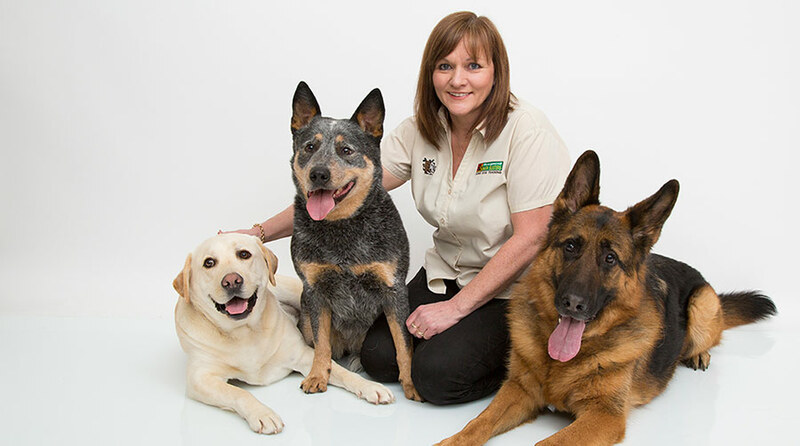 I can also help you if you have a new pet into your family and you would like to get off to a good start, so you are prepared in advance for potential issues and know how to will deal with them. Our puppy training programme is effective and fun and gives all you need to know to have a happy, healthy puppy. If you are looking for some help with behaviour problems, whatever the age, type or size, and whatever the problem, just give me a call and I will be delighted to help! You can also be assured that our Support Guarantee means that I will return to you free of charge to support and guide you through the training process at no additional charge.